Canarywood Tree is a semi-deciduous tree with a small, roundish crown. It can grow 10-30 m tall. The bole can be 40-80 cm in diameter with prominent buttresses. 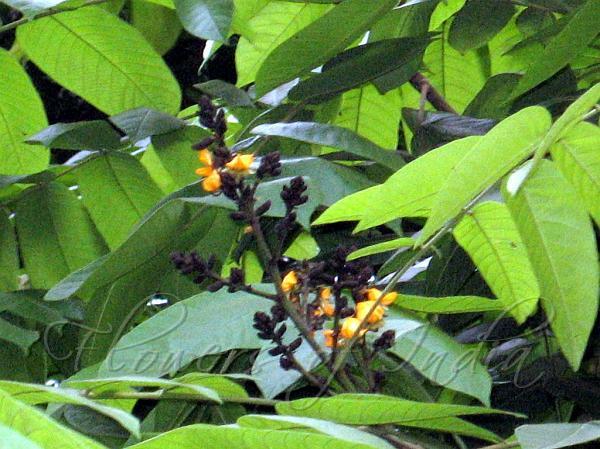 Leaves are compound, imparipinnate, 13-19- leaflets , 6-9 cm long, yellowish scales. Flowers are tiny, yellowish, in panicles at branch ends, calyx persistent, ovary stalkless, dotted. The fruit is a samara of up to 25 cm in length, surrounded by a leathery wing and a seminiferous nucleus globular in form, fibrous in structure and covered with numerous spikes. The tree yields a good quality timber. It blooms exuberantly, giving it a potential for use in landscaping, especially for street plantings along wide avenues. 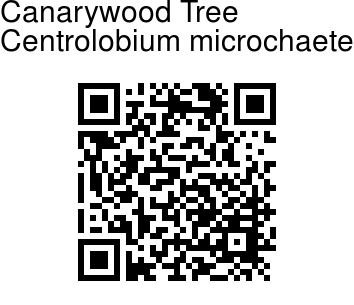 Canarywood Tree is native to S. America. Identification credit: A. Ajit Photographed in Lal Bagh Botanical Garden, Bangalore.